The old SLUniverse Forums have officially closed down as of 10th October 2018 after last month’s closure announcement. The old forums will be now archived and will be brought back online sometime during the next few months. 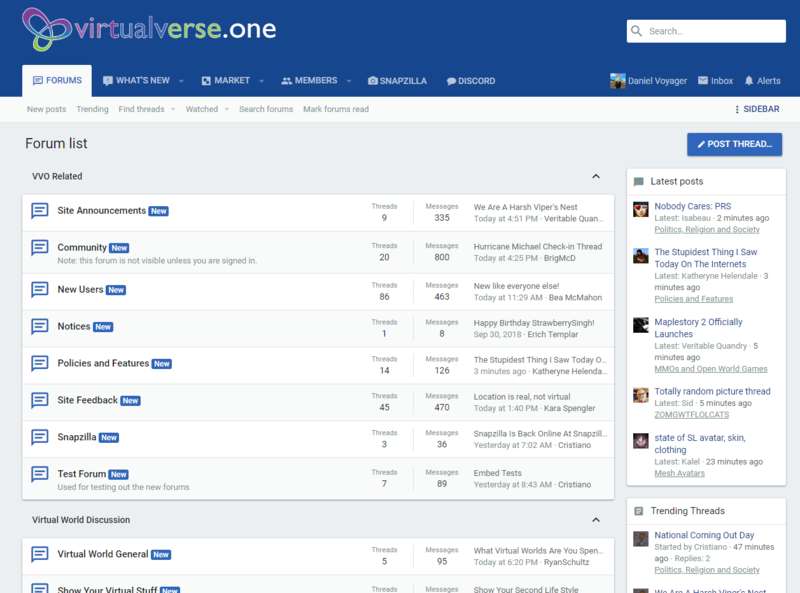 The new forum site called VirtualVerse One has been up and running for a few weeks now. There are active discussions going on everyday on the Forum list featuring a great range of topics from virtual worlds, Second Life, OpenSim, Sansar, Gaming, TV & Films to Scripting and much more. So far on the new forums there have been 463 threads, 6, 836 messages and over 390 members. It’s a great resource for the latest news, buzz and statistics. Join the VirtualVerse Forums today.